Makes compost in just a few weeks! 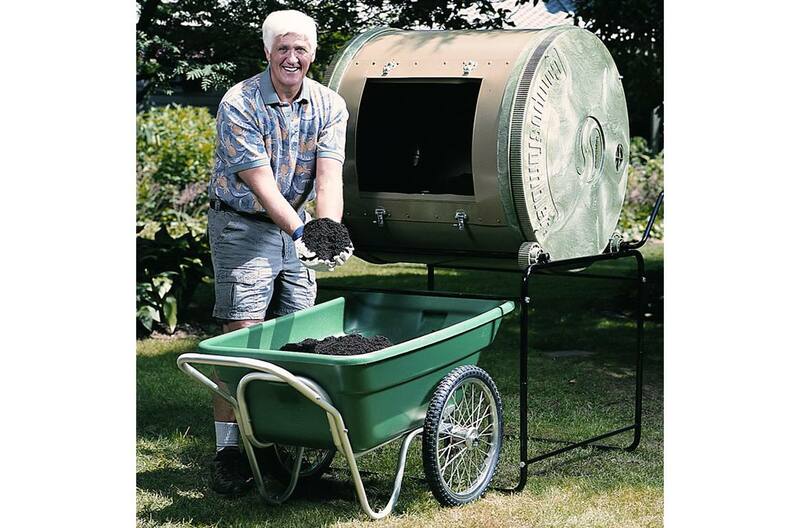 The Original ComposTumbler started a composting revolution nearly 40 years ago and remains synonymous with fast and easy composting. 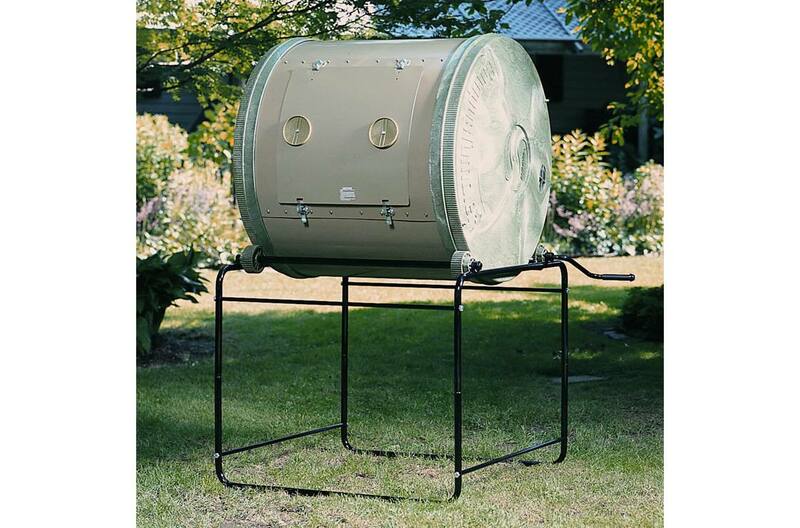 This compost tumbler holds up to 18 bushels and will make compost in as little as a few weeks. 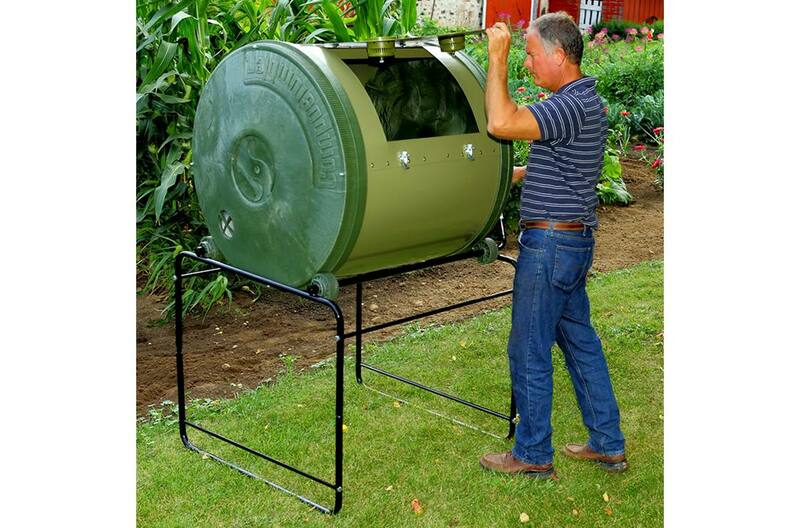 • Large-capacity single-bin composter is fully enclosed. • Loads and unloads conveniently. • Sits high enough to unload compost directly into a garden cart or wheel barrow. • Turns easily; no need for a pitchfork. The Original CompostTumbler saves hours of time and labor by quickly making a steady supply of nutrient-rich compost with minimal time and effort. Just a few spins every day. 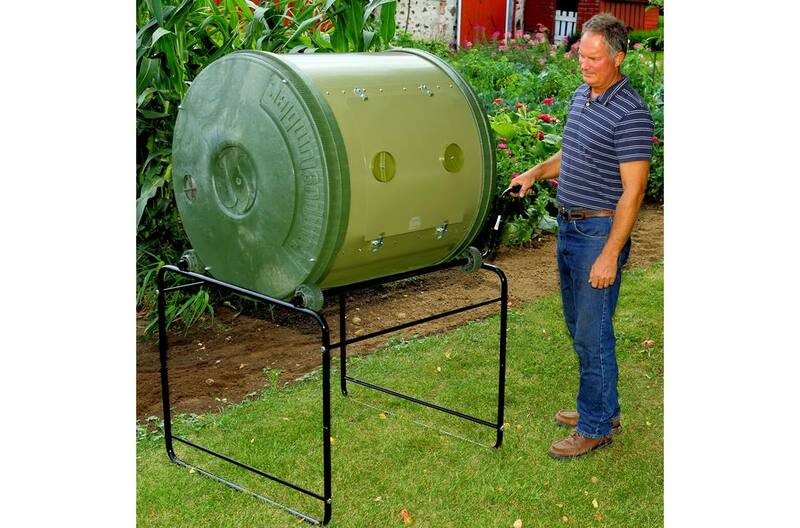 Holds 18 bushels of materials: Experience the convenience of big compost batches – spend less time composting, more time for gardening. Convenient, gear-driven, easy-to-spin handle: Turning the fully loaded compost tumbler is easy – even when fully loaded. Aeration/drainage units on the door: Creates the right mix of air intake, moisture, and heat for perfect compost. Drainage units make it easy to to collect “compost tea”. Interior mixing fins: Thorough mixing and no sticking, creating faster decomposition – making a clean batch of garden-ready compost every time. Durable, powder-coated galvannealed steel wall construction: Engineered to be rust resistant, the Mantis ComposTumbler will give you fresh compost, batch after batch – year after year. Drum Capacity: 22 cu. ft. Holds up to 18 bushels (168 gal.) for composting. Up to six 30 gal. trash bags of material. 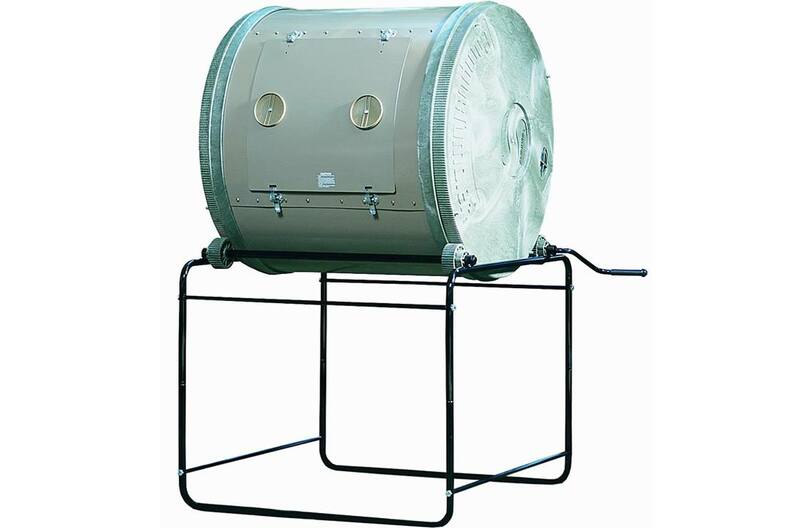 Drum Materials: Non-toxic powder-coated galvanized steel, rust-resistant. BPA-free, food grade plastic end caps.